Today, we look at a guild with a strong lore based theme. 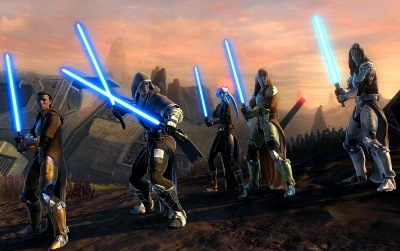 Their theme and idea for the guild was thought over during the four months prior to SWTOR being launched. 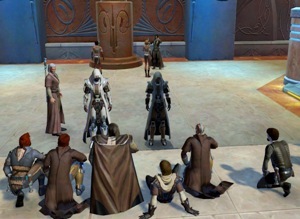 The Knights of Sokan guild, from their name gives you an idea of the theme being based around the Jedi. This is true, their theme is based upon Jedi, but with a caveat that it is a Jedi only guild. How about the other classes – where do they fit in, or what side of the Force does this guild fall? We will find out these answers and more in today’s Community Checkpoint. 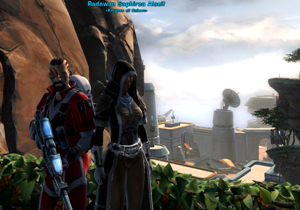 Can you tell us a little about yourself and how you found your guild home among the Knights of Sokan? Me, personally? I kind of “fell into” Knights of Sokan. Someone I knew learned about the Guild pre-launch via this old recruitment video and convinced me to apply with him. This is my first MMO and my first role play experience, so I didn’t have a clue what I was getting myself into. My thought process was that I would stick around for a month or two and call it. Obviously, the leaving part didn’t go as planned. I ended up really enjoying the role play (and PVP!) and became good friends with a lot of people in Sokan and on the server. One thing lead to another, and I ended up where I am now, in the Ambassador chair for Knights of Sokan. It certainly does feel like a “guild home”. Knights of Sokan is an RP guild, can you tell us what level of RP the guild participates in or usually asks of its members? We are an RP guild first and foremost, and we try to incorporate that into all aspects of game play… though there’s a healthy amount of out-of-character PVP, PVE, and general socializing that goes on, too. Sokan follows core lore, so all the role play we do is in the Old Republic time frame and overall Guild views are in line with Jedi interpretations from that period. Although minor aspects are altered in order to fit game mechanics when required, we try our best to challenge our members to RP within those parameters while still maintaining individualized story development to allow for a diverse RP atmosphere. It is not required that you are lore knowledgeable when you join, but you need to be willing to learn and we ask that you do at least a little preliminary reading on Sokan backstory and RP expectations via our “Path of the Jedi” tabs, so that you have a heads up as to how we operate. What is the significance of the guild’s name, Knights of Sokan? Can you tell us some of the backstory and who developed this idea? 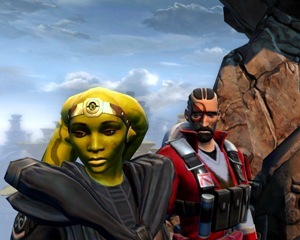 Our community was first founded as Republic Order four years before launch in anticipation of SWTOR. We might have acted a little prematurely, because, as well all know, the game was delayed a little longer than expected. One thing is sure – it certainly gave our founding members (which included our current GM, Leyasu Wurray) enough to think about Guild development and direction, and our Jedi-only status was born. Our name, Knights of Sokan, came about after some members started doing research on lightsaber forms. 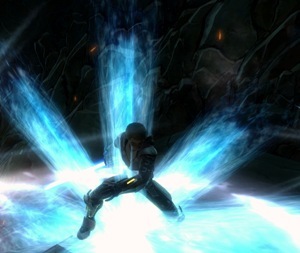 As we aren’t focused on any particular Jedi specialization, they didn’t want to show favoritism towards one particular form… so we went with a principle of lightsaber combat instead, Sokan. I think it suits us quite well. There is another unique aspect of guild, because it is specifically for Jedi, correct? How have things worked for the guild running with only Jedi? Is there another guild or branch of your guild that is for the remaining classes to be associated with the Knights of Sokan? Yes, we are comprised of only Jedi, Light-side Jedi, to be exact. It seems to be the only thing that makes sense given the Old Republic time frame, when the still fresh sting of the Sacking of Coruscant brought to light a clear divide between the Empire and Republic, and actions of the Jedi were often socially viewed as black and white, even if personalities came in all shades of grey. This in itself produces an interesting aspect to our role play in that, as previously mentioned, we have to be creative in balancing individual story progression and character flaws with those viewpoints. From a non-RP viewpoint, we have to be extra coordinated for PVP and during operations. Not having some of the smuggler/trooper abilities makes for a nice little challenge. I’m a healer, so I notice when I have to heal through DOT tech effects rather than just Force Purify them away, or when we lack those really mobile scoundrel heals in tougher operations. Lucky for us, we do work closely with our sister guild, Nexu Company – all trooper, with a few smugglers thrown in for good measure. Started originally as an alt guild for everyone who wanted to try playing “the other side”, it has evolved into an entity all its own. Although Knights of Sokan will remain Jedi-only for the foreseeable future, we are happy to refer people interested in non-Jedi classes to Nexu. Does Nexu Company have the same rich backstory? How does this military style associate play out with the Knights of Sokan during events? Are there specific chains of commands between the two branches? Nexu Company, our sister guild, is in the process of developing their backstory and establishing their presence under the direction of Major Saam Zolak. Sokan and Nexu both work very close together – we actually share the same forum site, news feed wall, calendar events and Teamspeak server. This way we can interweave RPs as well as other events when the situation calls for it. Nexu troopers are Special Forces and thus work alongside Sokan when on the battlefield; they have their own ranking and progression structure in place. Knights of Sokan is always confident in calling on assistance and input from Nexu Company when needed, and our Council trusts and respects their command as if they were members of our own, even if individual characters may not feel that way about the Republic as a whole. The Jedi Code is mentioned in Star Wars lore all the time. What is the Jedi Code exactly and what does that code mean to the guild? Like most organizations, the Knights of Sokan have rules. Aside from typical guild rules, what are some rules that in place specifically for lore, RP and the way the Knights of Sokan conduct themselves and appearance in-game? I think I already hit on our light-side, Jedi-only status and that’s what creates the majority of specific Guild rules. We don’t allow red sabers because they are a clear symbol of the Sith and of the Empire. Someone on the street is not going to see a Force-user with a red saber and think “Oh, they are here to give me a fruit basket.” We also don’t allow the Sith race in the guild… a little bit judgmental, maybe, but we had to ask ourselves the question “Would the Old Republic Jedi trust a member of the Sith race enough to allow them into the order?” We figured the answer would be no. Same thing goes with showing dark-side corruption. These rules were rigorously debated but were incorporated in the interest of sticking as close to canon as possible. Since this is primarily a Jedi based guild, how does the Force play a part in the guild? Is there a specific side of the Force that members are encouraged to lean towards? Maybe a loaded lore question, but is it possible for the Force to be dark or just misused? There are two major viewpoints on the Force during this time period, the Living Force and the Unifying Force. The vastly more popular of which is the Living Force… Unifying Force believers existed, but they were often isolationist and shunned for their beliefs. In reality, about half of Sokan’s members are living and about half are unifying, but we RP our Guild in that the Living Force is the more accepted viewpoint. As for the dark side – yep, that’s loaded question. General viewpoint is that the light side is a reflection of the Force in balance, and the dark side is a reflection of it out of balance. So light side does not equal “good” or “moral”… it just equals balanced. The use of the dark side is addicting, it acts as a kind of disease. So you can misuse the Force in dark ways and the emotions, ignorance, passion, and chaos that are required to use the Force in a dark way (see where I’m going with this?) almost inevitably tempt you to continue using it… and you fall to the dark side. What kind of RP events does Knights of Sokan offer? We offer a variety of events at different times. We are probably most known for our initiate -> knight training system, in which members are offered the opportunity to train up through our ranks as an initiate, clan member, padawan… eventually graduating to knighthood with the completion of their Knight Trials. In addition to this, we occasionally hold in character classes on particular specializations, initiation ceremonies for new members, duel nights, missions, and more. What other areas of gameplay, besides roleplay, does the guild enjoy? 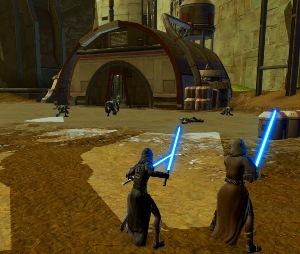 Do the Knights of Sokan have non-RP events for these aspects of gameplay for guild members? We all have our own interests, PVP / PVE…. Going around the Fleet in circles for no good reason (there’s a running joke that we are the “most fit” group of knights anyone’s ever seen due to all the cardio training we get in). We have periodic operations nights, there’s pretty much always someone PVPing, and we are working on getting a raid progression group going for members who need help with gear. We also do OOC classes on game mechanics and strategies, occasionally bringing in guest speakers for specialized topics. All that being said, the biggest part of the guild is the social aspect – at its core, Knights of Sokan is a community of people who enjoy gaming together. Whatever debates about lore that we might have are usually settled over a few drinks and/or friendly duels. Is the guild currently recruiting? If so, what is the best way for players to contact the guild about joining? Yes, recruiting is open and we are always looking for new blood. The best way to contact us about joining is to first, read up on Sokan via the Path of the Jedi tab, read our Guild rules and then at the bottom simply click apply. The site is checked by officers pretty much every day, so your application will be processed fairly quickly. If you have questions, you are welcome to hit up any of our officers in-game or put a message on our forum shoutbox on the left side of our home page. Why would you recommend Knights of Sokan to other players? What has been your favorite thing about being a part of the Knights of Sokan? 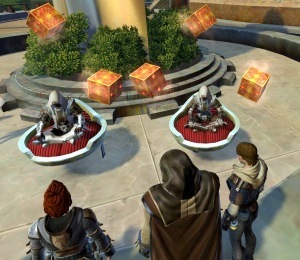 Does the Knights of Sokan also team up with other guilds for various types of events? What is the best way for other guilds or players to join your guild sponsored events? We most certainly do. We have a couple different story lines in the works with different guilds, on both Republic and Empire side. We recently have gotten into the habit of running regular operations with Fellowship of Ancients and are comfortable calling for assistance from other guilds for things like non-FoA raids and World PVP. No official warzone hookups yet, but we have enough regular PVPers that there’s usually at least one guild we are pretty familiar with represented in the ops frame. If you’re on Jung Ma and are looking for some guild-to-guild action, hit me up through our Enjin website (character name: Stephanie Tävi). Thanks to all the members part of the Knights of Sokan guild and also the brave troops in Nexu Company. I would also to thank their Guild Ambassador, Stephanie for all her help, despite some real world issues; she stepped up and was able to get the information back. If you are looking for a strong lore based RP guild and have a Jedi character, I would suggest getting in-contact with the Knights of Sokan. 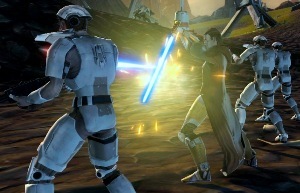 How exactly can you have your guild, like the Knights of Sokan, highlighted on Community Checkpoint? All you need to do is submit your guild/group’s website and some basic information in an email to me at, jason@corellianrun.com. At Corellian Run Radio, we love to highlight members in the SWTOR community, from guilds to the many people working to plan events, contest, etc. We look forward to hearing from you! Thanks and see you next week!